WHEN YOU BOOK BY MARCH 31, 2018.
or shipboard credits redeemable for spa treatments, boutique shopping on board, Crystal Adventures® ashore and more. expert insight. 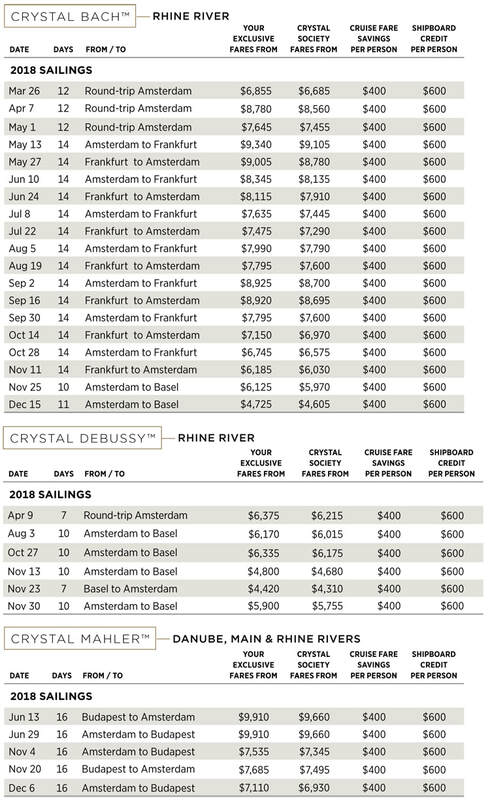 Join Crystal Cruises on itineraries from South America, Australia and Hawaii to Northern Europe, the Mediterranean and the Holy Lands. 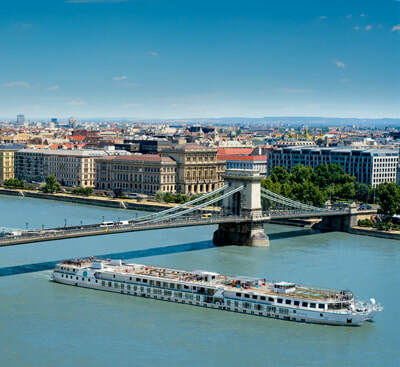 Or travel into the heart of Europe with Crystal River Cruises to explore the Danube, Rhine, Main and Moselle rivers on a rich selection of itineraries traveling between Amsterdam, Basel, Budapest, Frankfurt and Vienna. 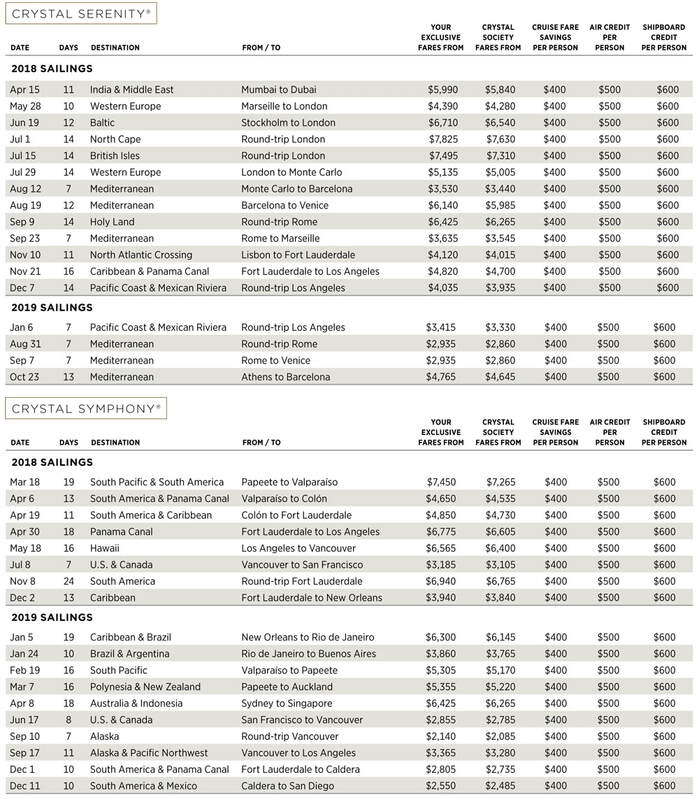 Regardless of which destination or manner of travel piques your wanderlust, you’ll enjoy the unrivaled hospitality, and all-inclusive luxury for which Crystal is renowned. 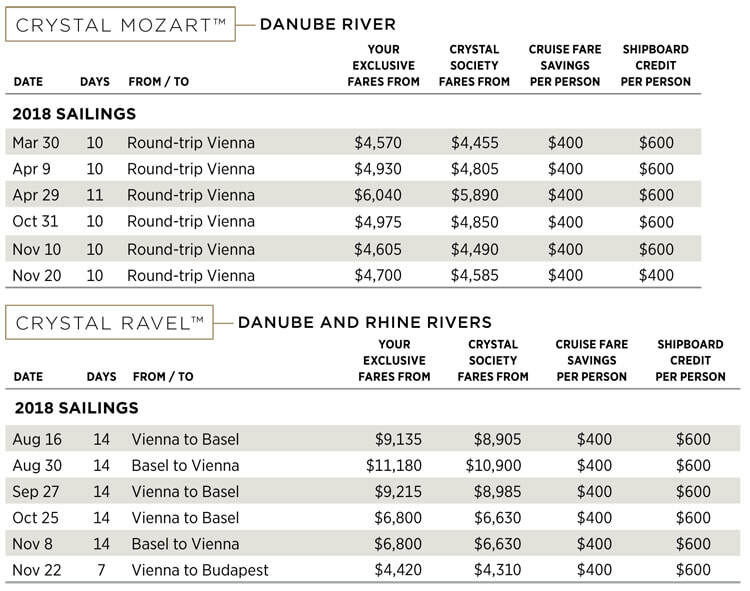 1 Air Add-ons for select gateways and voyages are available at greatly reduced rates of $999 Business Class for categories CS & PH on Crystal Mozart, CS & PH on Crystal Bach, Crystal Mahler, Crystal Debussy and Crystal Ravel; $249 Economy Class for categories S1-W1 on Crystal Mozart, S1-S4 on Crystal Bach, Crystal Mahler, Crystal Debussy and Crystal Ravel. Air must be booked through a Crystal Air Representative.